Have a question? Check our FAQ Page first! Looking to adopt a bulldog? ​Want to volunteer with our organization? ​FIRST STEP: Please fill out the appropriate form online! ​All email inquiries related to adopting, fostering, volunteering, or surrendering will be referred to the corresponding application. Do not use this form if you wish to adopt. ​ If you are interested in a dog listed in our rescue, you MUST fill out an adoption application. 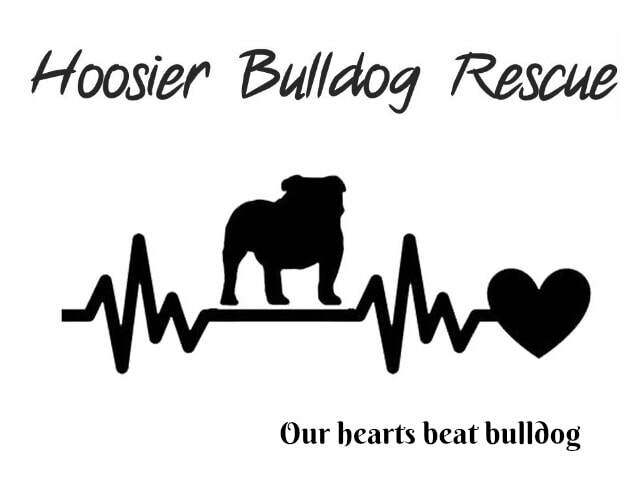 Hoosier Bulldog Rescue is a 501(c)(3) organization based out of Indianapolis, Indiana.